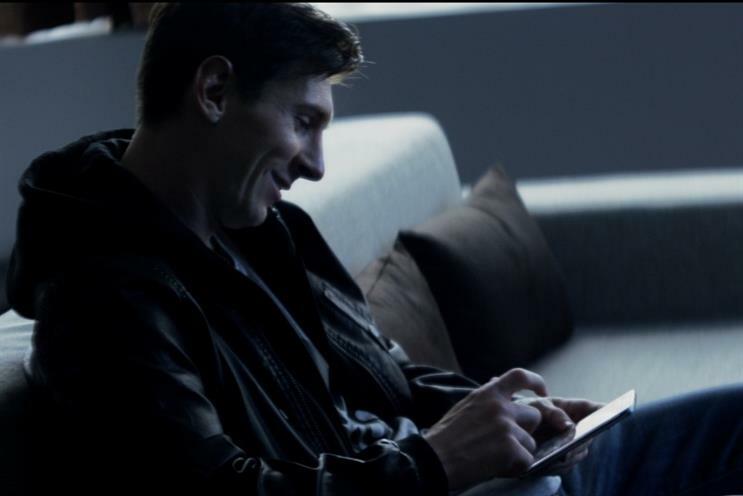 Adidas has unveiled the latest ad in its Sport15 campaign, with four-time Ballon d'Or winner Lionel Messi encouraging football fans to forge their own path. The short spot is narrated by a Messi fan who describes "my hero, my idol" alongside shots of fanatics getting Messi tattoos and wearing Messi shirts. Ultimately the narrator concludes, "I am not you." The ad is part of a wider campaign encouraging Adidas consumers to unfollow their idols and take their own path to greatness. The ‘Create Your Own Game’ ad, released earlier this month, features Gareth Bale and Mesut Oezil and pushes out a similar message. Adidas kicked off Sport15 in February, an "aggressive" marketing push designed to highlight athletes’ passion. Ryan Morlan, VP of brand communications at Adidas, said at the time: "We believe sport happens in moments. Any moment is a chance for you to do the impossible, start over, and that’s the key insight we’re going to roll out over all these films."